First you’ll want to gather your supplies. Grab a yellow cake mix, white icing, chocolate icing, food coloring and Ziplock bags. Go ahead and bake your cupcakes to the package directions and let them cool. 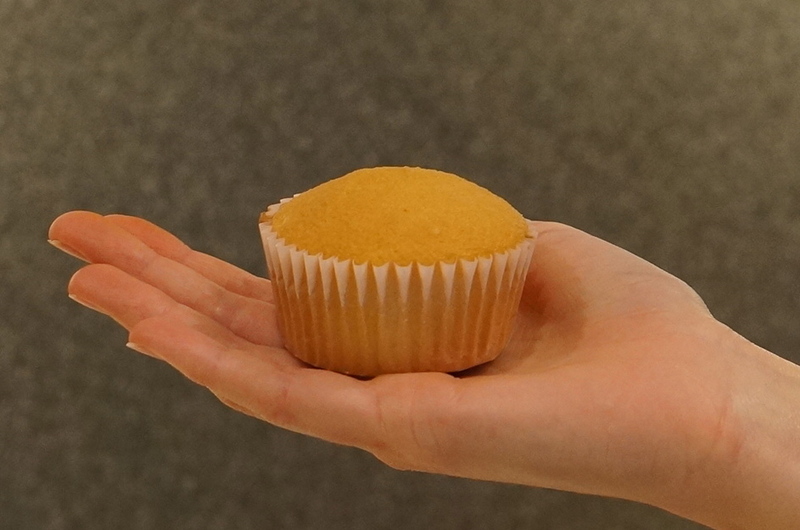 We made the mistake of baking ours into cupcake sleeves. Baking the cupcakes directly into the pan (with non-stick spray!) would’ve been better because we just had to unwrap them again. 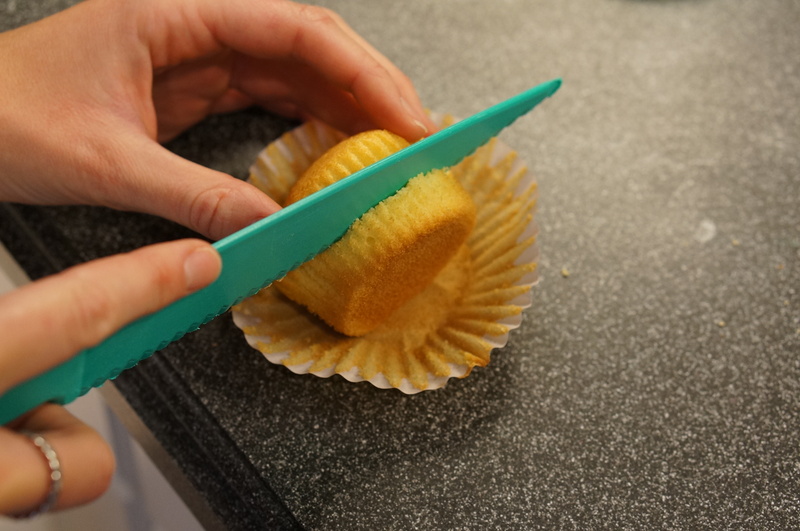 Cut your cupcake into a top half and a bottom half. These will be your hamburger buns! 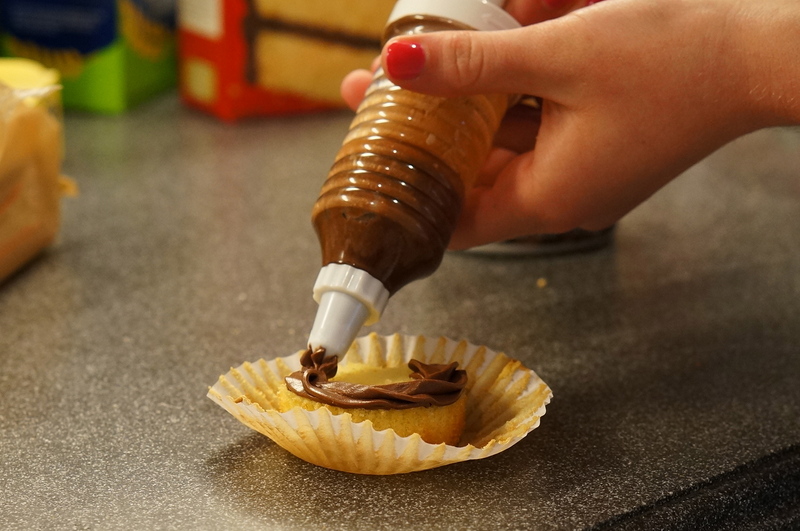 Next, put some chocolate icing into a Ziploc, zip it shut, snip the corner, and squeeze out the icing to create your hamburger patty on the bottom half of the cupcake (we used an icing tube but you don’t have to). Color some of the white icing green and use it to make “lettuce” on top of your “patty”. 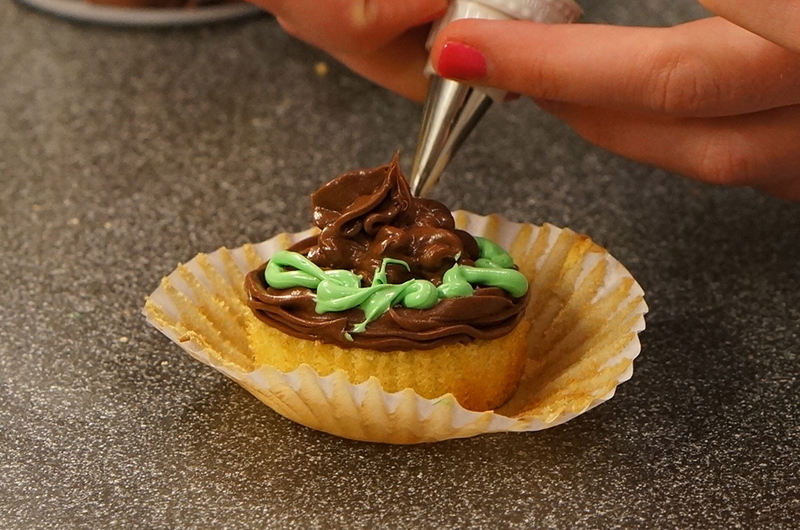 This is easier if you use a smaller tip of the icing tube or cut a smaller hole in your Ziploc. 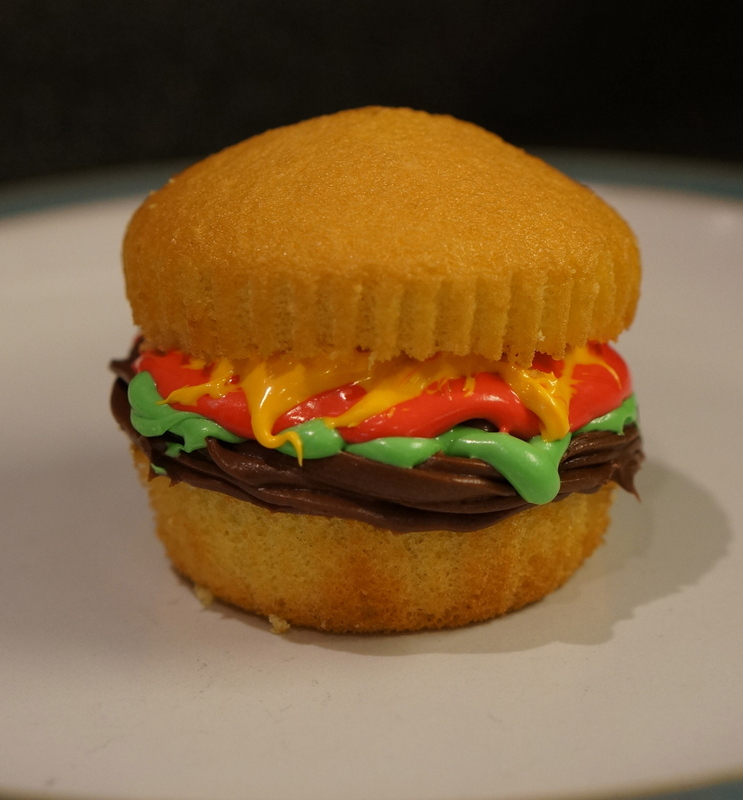 On top of the “lettuce,” use red-dyed icing to make a “tomato” and yellow-dyed icing to make “mustard.” Place the top of the cupcake on top and you’re done!! Overall, we were pretty pleased with this shenanigan! We thought it would come out terribly, but they really do look like hamburgers! If you’re feeling up to it, you can dye coconut green for the lettuce instead of using icing (we would have but we didn’t have coconut). 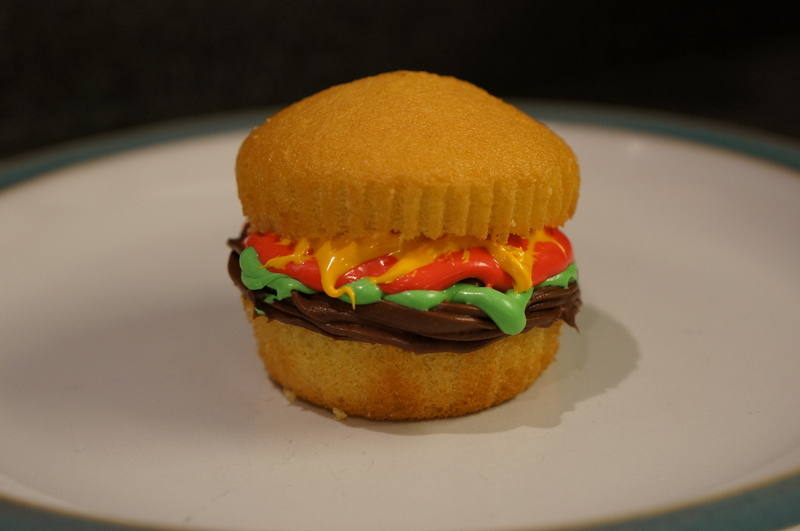 You can also opt to sprinkle your cupcake hamburgers with sesame seeds! Get creative and let us know what you come up with! Adorable ! Great for a kids party and so easy and cute to serve. Shenanigans great job!!! !